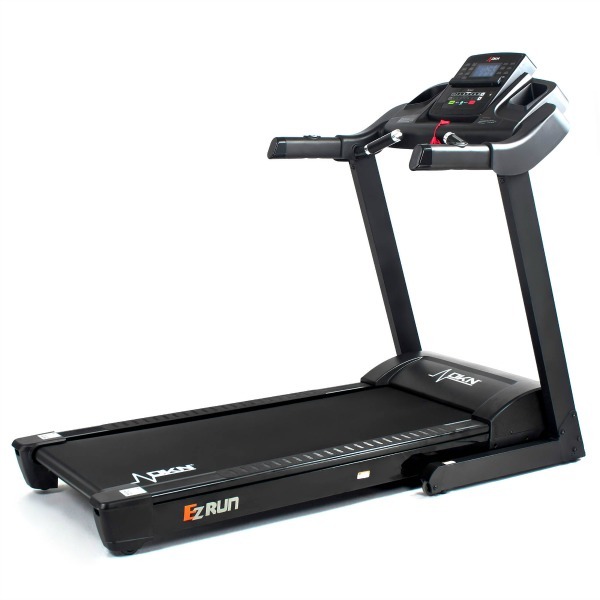 Originally launched in 2011, the RoadRunner from DKN quickly established itself among the best running machines on the market and a firm favourite with our review team. In 2015, the 2nd generation was launched which increased the specifications whilst remaining at the same price point and now we have the 3rd generation of this highly acclaimed machine. Naturally, we’re quite excited and have updated our review! Having assembled the machine (not complicated, but does need two people to make it easy), the first difference with the previous versions becomes apparent: The new RoadRunner I is far more aesthetically pleasing than the original! The design of the upper part is completely new and has an extremely premium feel about it. 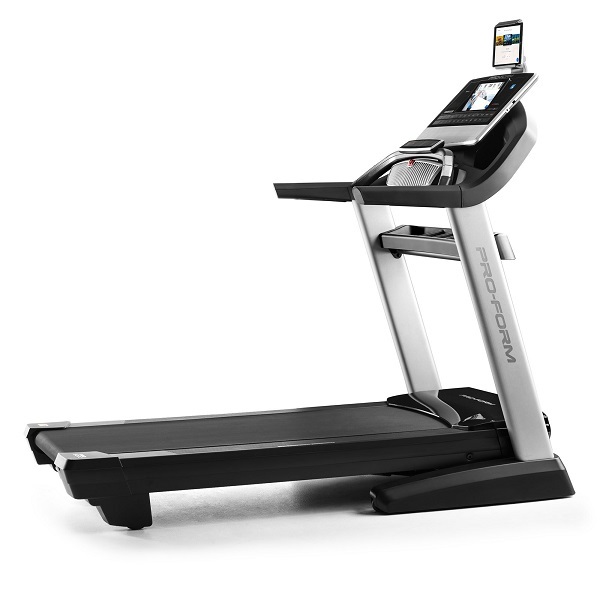 We particular like the soft to touch material used on elements such as the handlebar – it’s so much nicer than the shiny rigid plastic found on most treadmills! One of the things we loved about the first series of the RoadRunner was the power of the motor and the way in which the machine was almost silent when the button start button was hit (thanks to a powerful motor). So, we were very surprised back in 2015 that one of the major differences of the 2nd version was that DKN has actually upgraded the motor! The upgraded motor was rated at 2.8 horsepower continuous duty with a peak output of a whopping 4.5 HP. In addition, the upgraded motor has energy efficiency features, so it’s a tick in the green credentials box. We’re happy to report that the motor at the heart of the 3rd generation RoadRunner is the exact same one! This is really good to see, considering that so many other brands are quietly reducing the specs of their machines to try to stay within previously achieved price points…. The ‘magic’ of the both of the previous RoadRunner machines was in the main running areas. From what we can tell, this latest 3rd generation has identical configuration and components – if it’s already awesome, don’t change it! 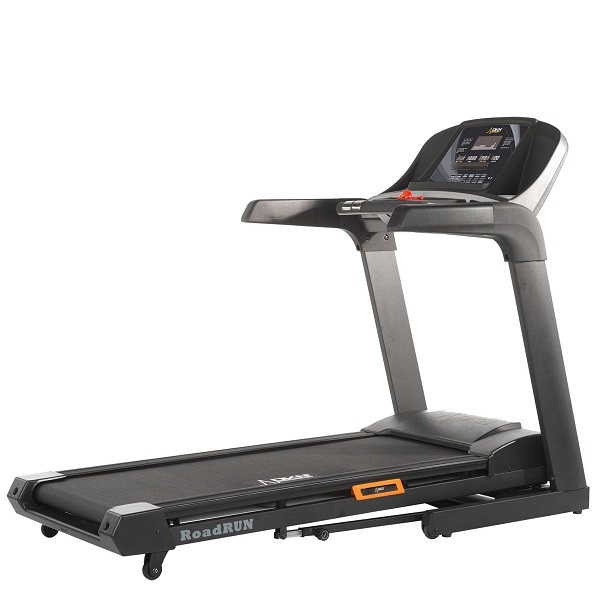 The RoadRunner I is fitted with a 3.3mm orthopedic running belt and features a particularly responsive deck. The combination of the belt, deck and elastomer cushioning make for an absolutely fantastic running surface – nicely cushioned to look after the joints without feeling mushy. 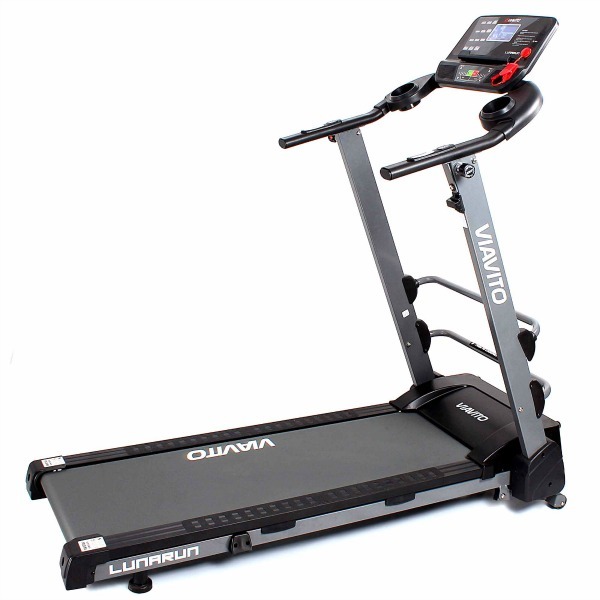 The running deck itself is nice and big and with the machine itself weighing in at over 105 kg, it feels rock solid and sturdy when being used. With its generous dimensions and substantial bulk, the RoadRunner I is well suited for even the tallest of runners to sprint all the way to the top speed of 20 kph (around 12.5 mph). For those more interested in weight loss, rather than performance training, there are 15 levels of powered incline on offer to enable burning up those calories speed walking or jogging on a decent incline. 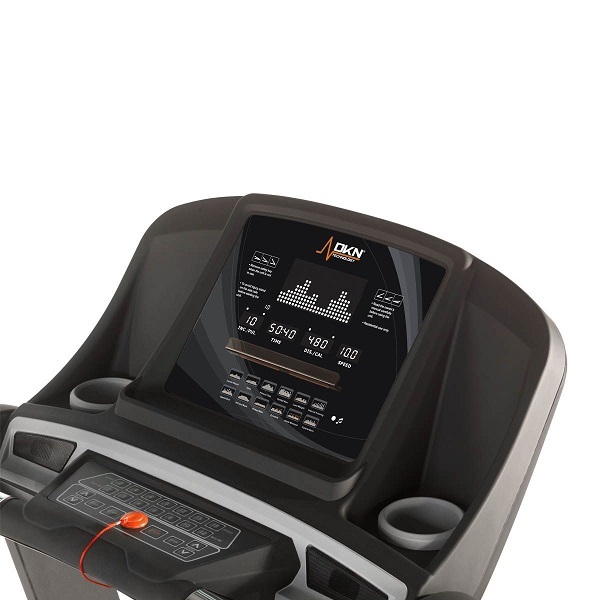 Like most DKN fitness machines, the RoadRunner I has user profile functionality allowing the age, weight, gender and height of two users to be stored on the machine to get more personalised calorie consumption estimates. The console on the machine is large and very clearly organised. We’re pleased to see on this latest revision of the RoadRunner I (console updated for 2019) that the traditional LCD display has been replaced by a number of clear, white LED displays. There is a grid of LEDs in the middle that are used for displaying programme profiles as well as quarter mile (400m) track as well as 4 smaller LED windows that display speed, incline, exercise duration and calories consumed. In terms of controls, there are one touch speed and incline buttons on the console to avoid having to repeatedly press up and down buttons to make larger adjustments to speed and incline! There are plenty of pre-set programmes (24) and the duration of each is user-defined to fit it with training goals. For those planning very specific types of training (such as interval training), the console allows two user-defined programmes to be created and stored. In addition, there’s a heart rate control programme built-in. This 3rd generation RoadRunner has seen an upgrade from a standard Polar compatible receiver to a Bluetooth receiver, which is great as this provides a much more stable connection in comparison with Polar T31 uncoded receivers previously used. Use of the heart rate control programme requires a chest strap (any Bluetooth heart rate transmitter strap will work) and takes the user through an initial warm up, then varies the speed and incline of the treadmill every 10-15 seconds based on the user’s heart rate in order to help the user stay close to the target heart rate entered at the start of the programme. As expected, DKN has kept their interactive control Bluetooth chip in this 3rd generation if the RoadRunner. 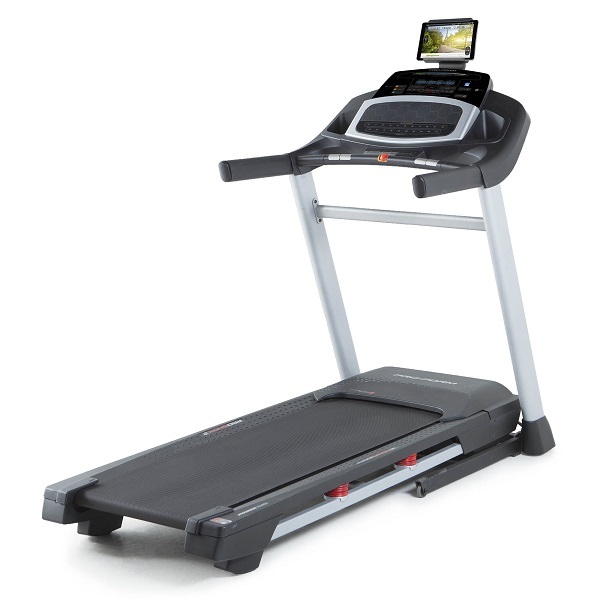 There are a number of 3rd party apps available that can control the speed and incline of the treadmill. A particularly good one is Kinomap, which has recently (October 2018) been updated to include coach to 5k video coaching programmes free of charge! The speakers are also pretty decent for a treadmill and the treadmill folds to a surprisingly compact size. As expected, the folding mechanism has a hydraulic soft drop. 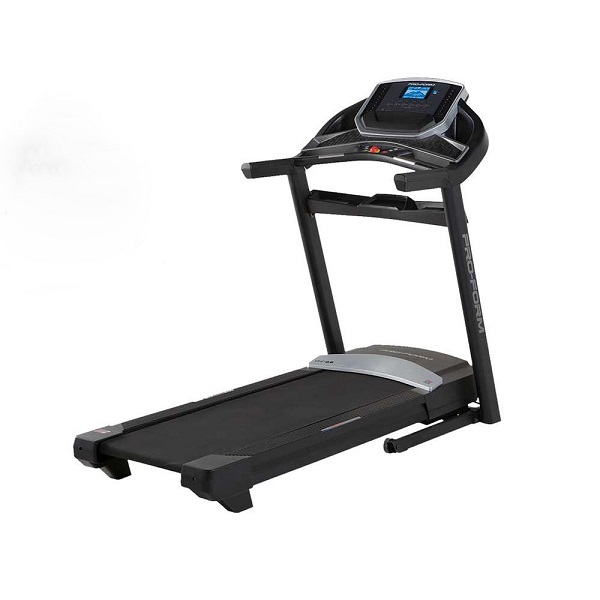 We’re really pleased that DKN haven’t cut any corners at all with this new version of the RoadRunner treadmill and have continued to use really high quality components (big rollers, amazing belt etc.) on the latest RoadRunner I. 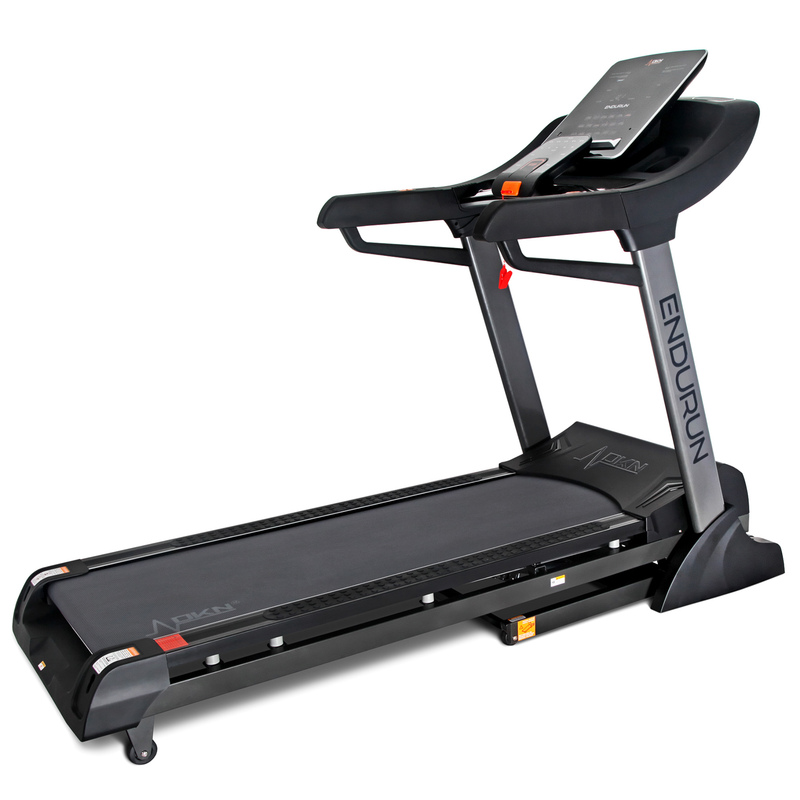 We loved the previous RoadRunner treadmill and this latest generation is an improvement on the old! We're rather surprised that with the upgraded specifications that this machine hasn't taken a jump upwards in selling price. At its current price, this is a very, very good treadmill. Not much to fault this machine!